STAT's Dylan Scott has a big scoop this morning: Biotech billionaire and surgeon Dr. Patrick-Shiong is in talks with the Trump administration about the prospect of overseeing the U.S. health care system. 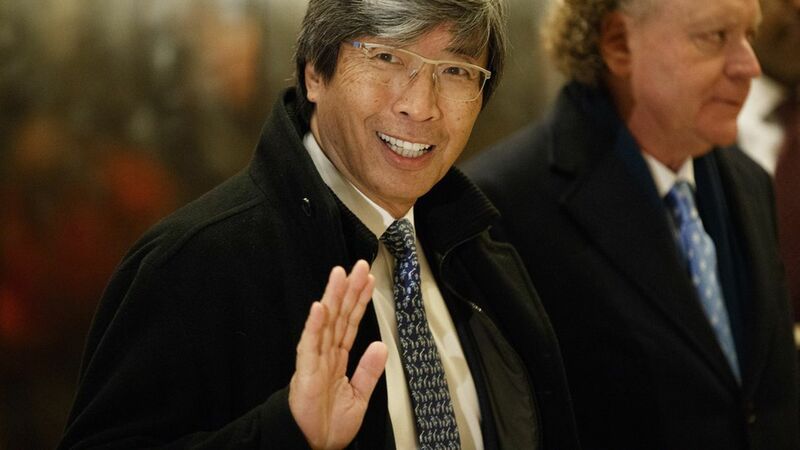 Soon-Shiong has met with Trump and his team at least twice in the past few weeks about serving as a "health care czar" with a broad portfolio. Between the lines: Soon-Shiong really gets around. STAT notes that he pitched the Obama administration on a similar role. He also did a lot of self-promotion when he consulted with then-Vice President Joe Biden on his cancer "moonshot" program.